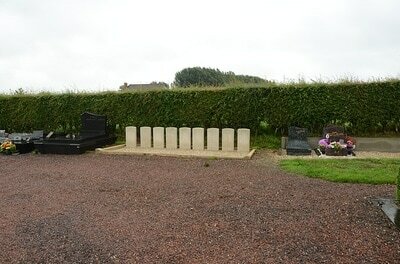 Orsinval Communal Cemetery contains nine Commonwealth burials of the First World War. 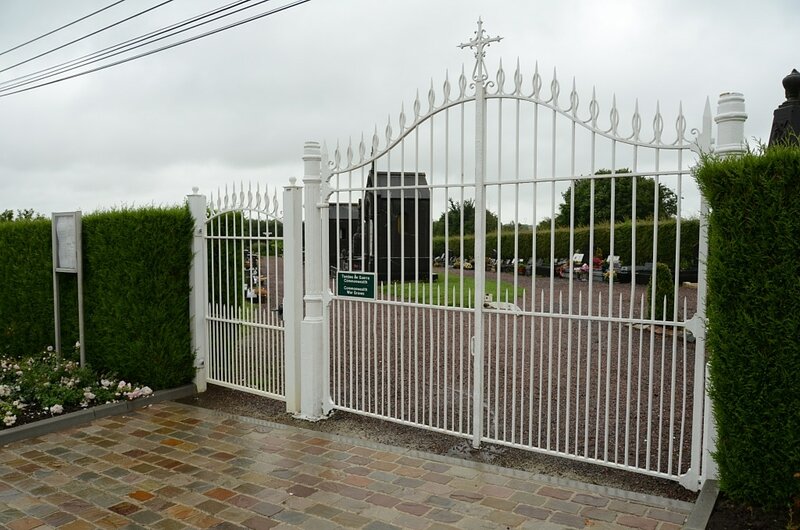 The graves are located in the South-East corner. 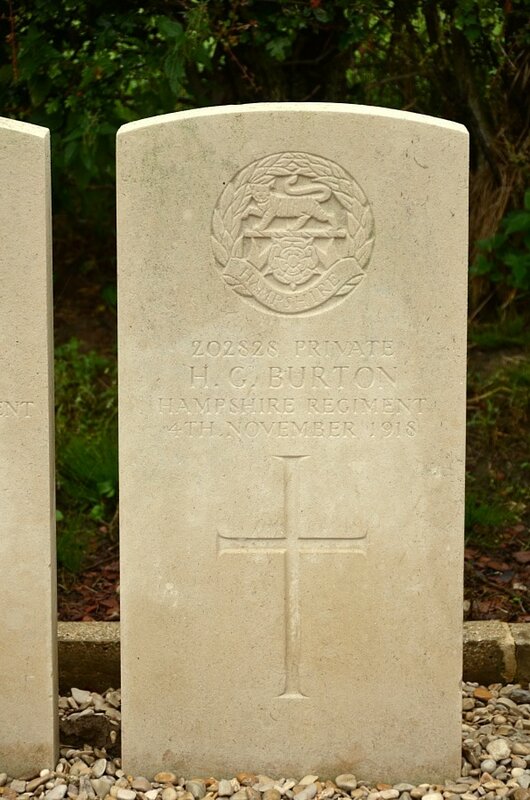 202828 Private H. G. Burton, 2nd/4th Bn. Hampshire Regiment, died 4th November 1918. 30414 Private C. Hoare, 2nd/20th London Regiment, died 6th November 1916. 43285 Private H. Hoyle, 5th Bn. King's Own Yorkshire Light Infantry, died 5th November 1918. 54558 Private Charles McRae, 2nd/4th Bn. Hampshire Regiment, died 6th November 1918, aged 19. 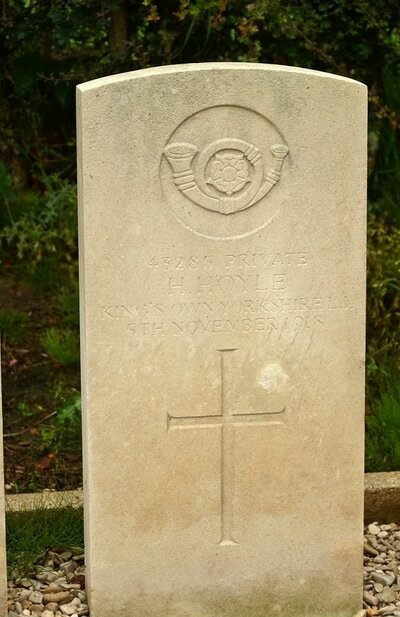 Son of Mrs. D. Pyott, of 193, Perth Rd., Dundee. Born at Dundee. 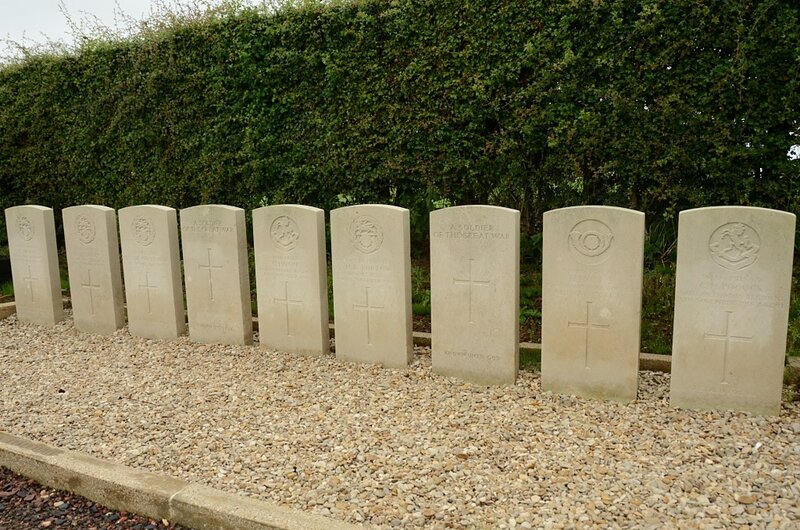 36858 Private Charles Henry Pocock, 2nd/20th Bn. formerly 1st/22nd Bn. 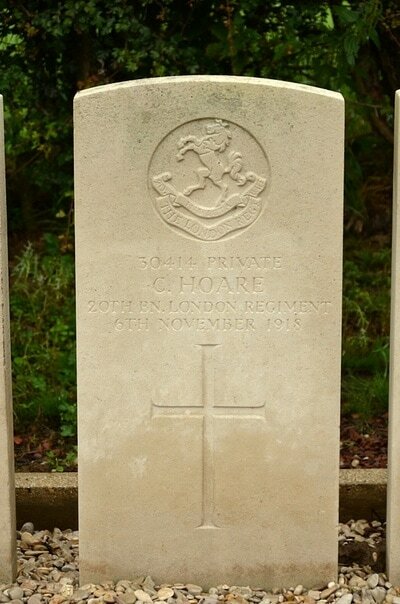 London Regiment, died 5th November 1918, aged 21. 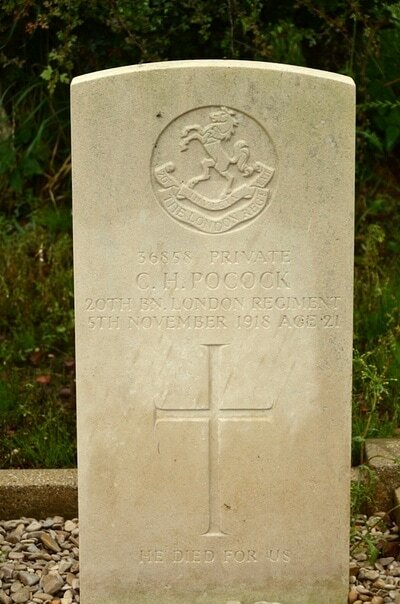 Son of Mr. and Mrs. S. H. Pocock, of Westminster, London. 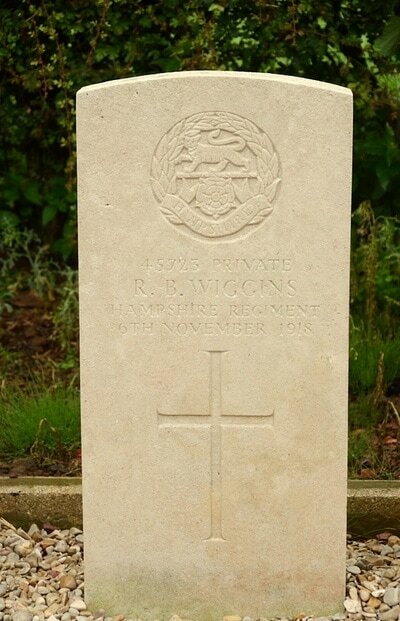 45723 Private R. B. Wiggins, 2nd/4th Bn. 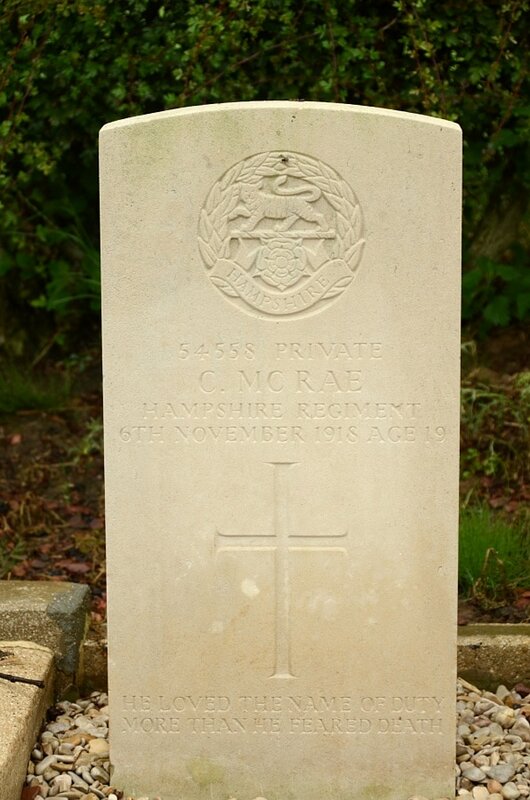 Hampshire Regiment, died 6th November 1918.